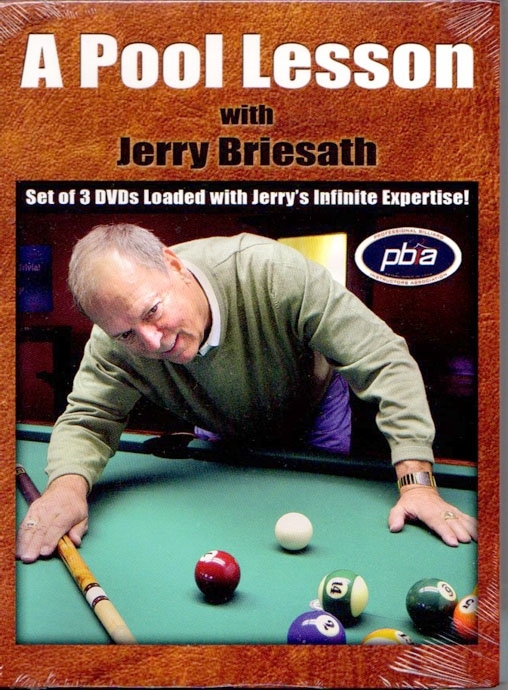 This 3-DVD set is from Jerry Briesath, considered by many to be the “dean of pool instructors.” He has taught many of the game’s top players and was instrumental in starting the BCA instructor program. In the more than 4 hours of instruction and 50 plus topics on this set, you will learn the same techniques he teaches the pros: The Fundamentals - Stance, grip, bridge, stroke, break and aim. Managing the Cue ball - Spin, tangent lines, speed trade-off, position. Banking and Kicking - Making it all make sense. Drills - Fun games and simple tricks to quickly improve your game. Fixes - How to fix the flaws that cost you games.